This post contains affiliate links, which means that if you make a purchase after clicking my link, you won't pay more, but I will receive a small commision. This helps Darvanalee Designs Studio, to keep great content coming your way. The master of free-motion quilting, Angela Walters, teaches you everything you need to know in her newest book, Free-Motion Quilting Workbook. Unlike an ordinary how-to manual, this interactive workbook will get your creative juices flowing as you doodle designs of entire quilts, individual blocks, borders, and even negative space. The pages have plenty of line-art shapes and inspiring photographs to help get you started. There's also a bonus section of graph paper to plan your own quilt designs. So, go ahead, start sketching! 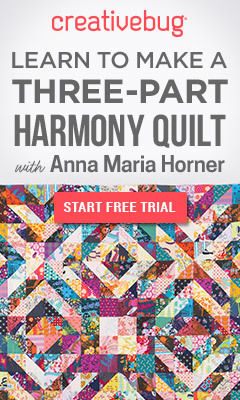 Add color and punch to your next project with Quilt with Tula & Angela. Known for her cool, innovative style, Tula Pink will inspire you to toss your colour wheel and commit to her signature approach to combining colours. Angela Walters creates the complementary finish and surface texture for each design, resulting in the perfect marriage of colour and style for each of the featured 17 quilt projects. Pairing one shape with one colour family in each chapter, you'll step through quilts of varying sizes, at the same time enjoying a front row seat to the creative collaboration between these mavens of style. In addition to the 17 signature Tula Pink quilt designs and 42 quilt design motifs from Angela Walters, you will also be treated to useful tips on choosing fabrics and mixing up prints and approaching the quilt process. Featuring bold illustrations and gorgeous photographs, Quilt with Tula & Angela is the comprehensive approach to intuitive colour choices you've been waiting for. Learn to Longarm with Confidence! Go from novice to successful longarm quilter with this complete guide to modern longarm quilting. Author Teresa Silva knows exactly what it's like to stand before a new longarm machine wondering where to begin. After years of longarm quilting for some of the biggest names in the quilt community, she's sharing her expertise and giving you the skills you need to longarm with confidence. Teresa covers every detail from thread selection and loading the quilt to planning a design, sewing textured stitches, and more! How to visualize, plan, and execute multiple styles of quilts through an inspiring gallery of finished samples You'll also enjoy three pieced projects perfect to practice your longarm skills and stir your creative juices. So go ahead, grab your Longarm Quilting Workbook and work aside Teresa Silva to longarm beautiful quilts in no time! Inspired fabrics and designs await you in "Quilts From the House of Tula Pink"! Welcome to the world of cutting-edge fabric designer Tula Pink, where clever quilts show off fanciful fabric, and your imagination can be let out to play. Featuring fabrics that you know and love, Tula offers 20 patterns with her signature flair for colour, design and original style. Between 10 amazing quilts and 10 extra-cool companion projects, you'll be inspired to play with fabric, colour and design in a way like never before! 10 large quilt patterns, perfect for the bedroom or snuggling on the couch. 10 accessory sewing projects, like an embroidered lampshade and a fabric cuckoo clock, to make your everyday life extraordinary. Tips from Tula on choosing and combining fabrics, selecting a quilting motif, and even sketching your own fabric and pattern designs. Come on into Tula's house for the ultimate in sewing, style and fabric innovation! Jelly Roll, Layer Cake and Charm Quilts provides seventeen beautiful projects that show you how to get the most from pre-cut fabric bundles. The projects range from smaller lap quilts to full-sized bed quilts and each is made from one jelly roll, layer cake or charm pack (or a combination), making the quilts quick and economical. Using the latest fabrics, the authors provide a main quilt and an alternative colourway for added versatility. Simple step-by-step instructions and illustrations make creating quilts from bundles fun and easy, regardless of your skill level. In her new book Quilting On The Go: English Paper Piecing Sharon shares with you her love for English Paper Piecing and Fussy Cutting. She will guide you through all the steps of English Paper Piecing, starting with the basics. Work your way from the humble hexagon to stars, curves and more. Sharon shares her tips, techniques, and her preferred products to help you achieve great results and what to look for when choosing fabrics to fussy cut. Fat Quarterly Magazine co-founder Tacha Bruecher takes a fresh look at an old favorite—English paper-pieced hexagons—with current fabrics and settings for quilts, table toppers, and more. Modern and traditional designs are both featured, including rosettes, stars, and free form. Learn how to combine settings and how to creatively quilt hexagons. Projects are varied for any skill level or time commitment – make a few hexagons, make a few more, or make few hundred. Making the individual hexagons are perfect for modern quilters on the go; they are terrific stash busters (and stress busters) that take your priceless handwork from repetitive to remarkable! The key to perfect patchwork is getting all of the points to match up — which is no easy feat! Set yourself up for success with the rediscovered technique of English paper piecing. Using paper templates to guide your pattern, you can expertly fit your quilting shapes together before you even start sewing. All Points Patchwork takes you far beyond traditional hexagons and accommodates triangles, diamonds, octagons, and even curved shapes. Simple instructions for decorating clothing, bedding, and home decor open up astounding possibilities for quilters of all levels.